A relaxed and leisurely drive from the west to the east coast, with some interesting attractions along the way to enjoy. 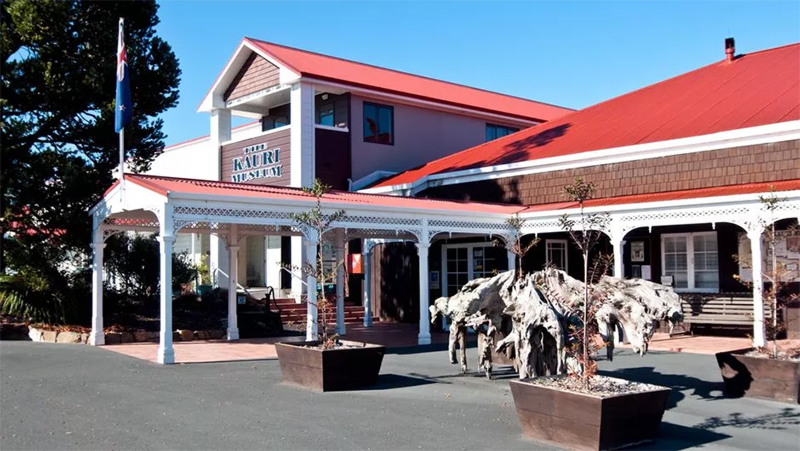 The tourist hub of Paihia is the starting out place for many of the best attractions that the Far North has to offer including the nearby historic towns of Russell and Kerikeri. You'll need an early start, traveling via one of New Zealand's most scenic drives, to get you to the pretty seaside settlement of Tutukaka by 10:45 am. 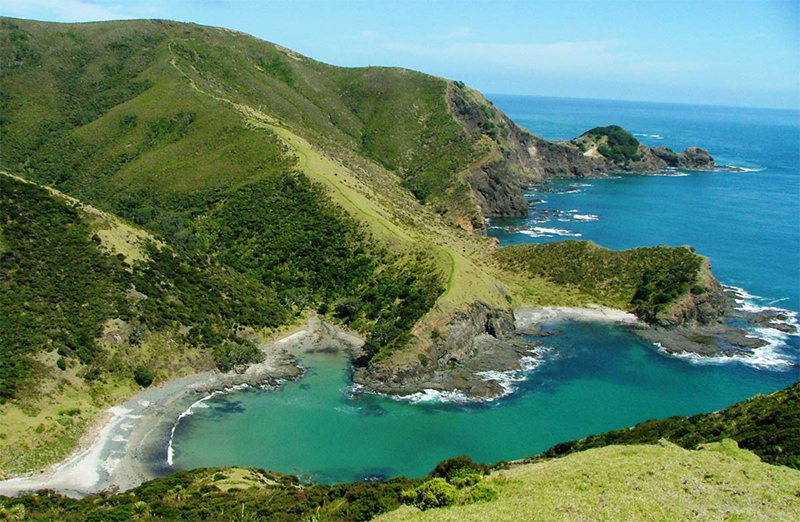 This is where you'll join your Poor Knights Island Cruise, one of the most underrated New Zealand marine experiences, just waiting to be discovered by international visitors. Return to Tutukaka where you will stay the night. Your final New Zealand Vacations itinerary will include suggestions about interesting places to stop and enjoy as you make your way south back to Auckland. Give yourself the complete day to enjoy some of the magnificent golden-sand beaches situated along this stretch of coastline. 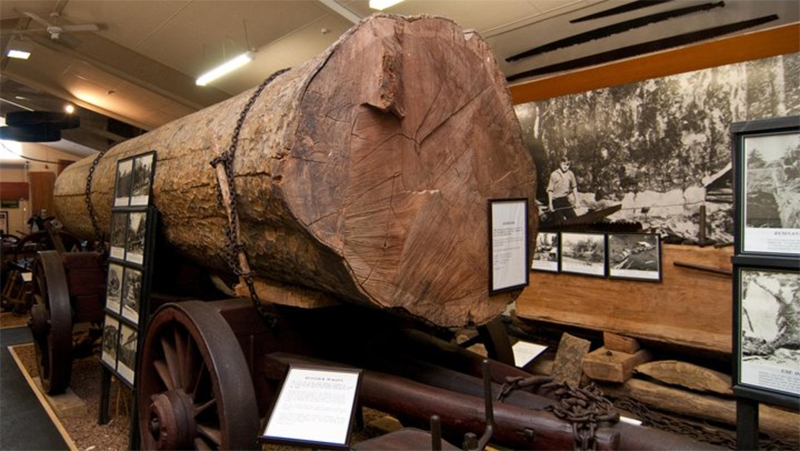 The award winning Kauri Museum provides visitors with a fascinating insight into the story of New Zealand's pioneering settlers, with a focus on their exploitation of the ancient and giant Kauri trees and it's highly prized Kauri Gum. 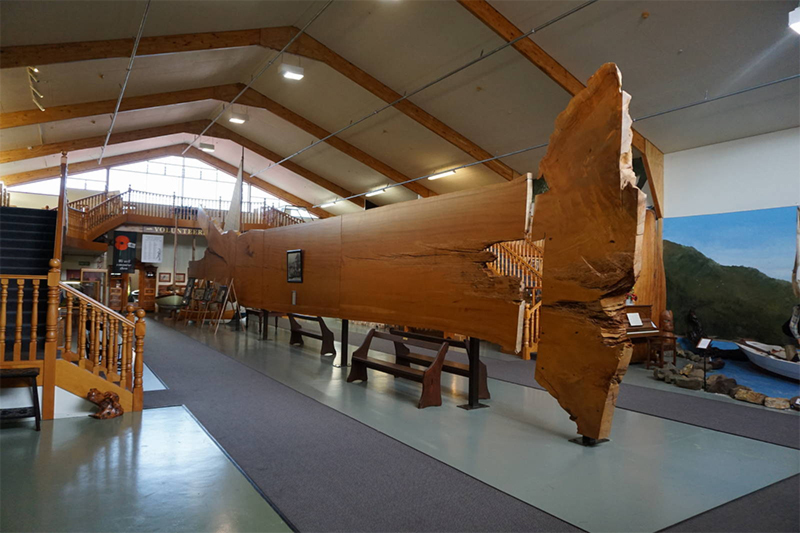 The large collection of exhibits the museum boasts include the worlds largest Kauri slab. The museum boasts 10 galleries and 3 heritage buildings. 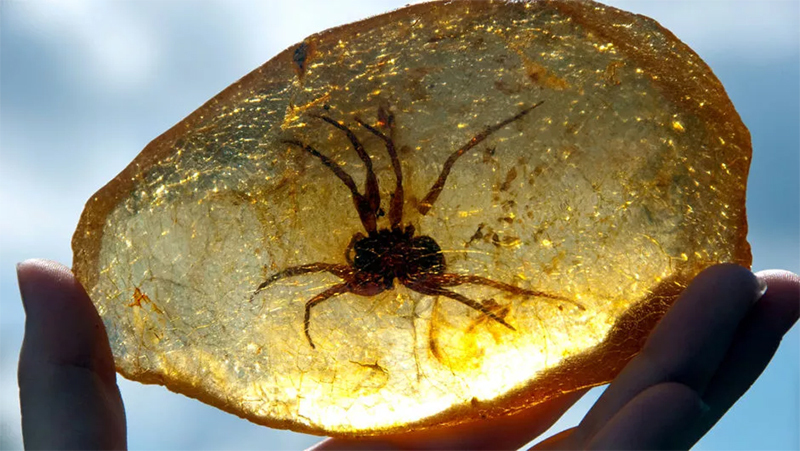 One of the many specimens in its huge collection of amber colored kauri gum. 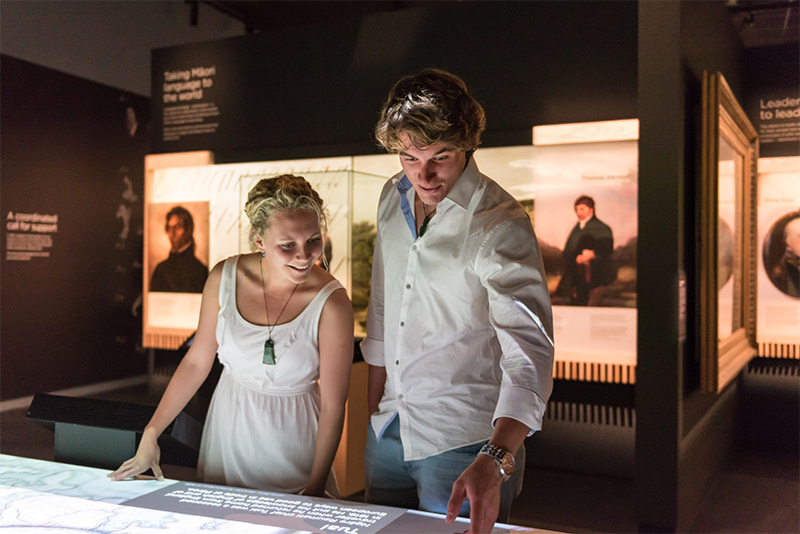 The pioneering history is strongly featured in the museums exhibits. 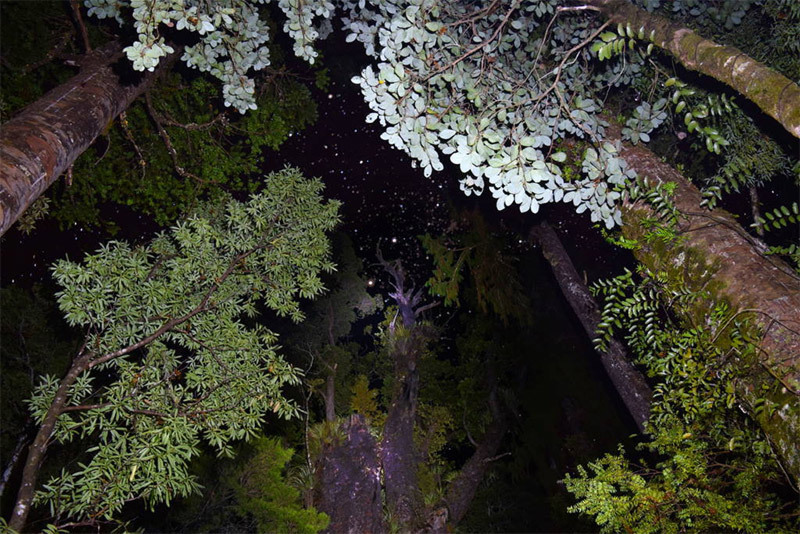 Tonight you will learn the fascinating Maori history of Waipoua Forest. 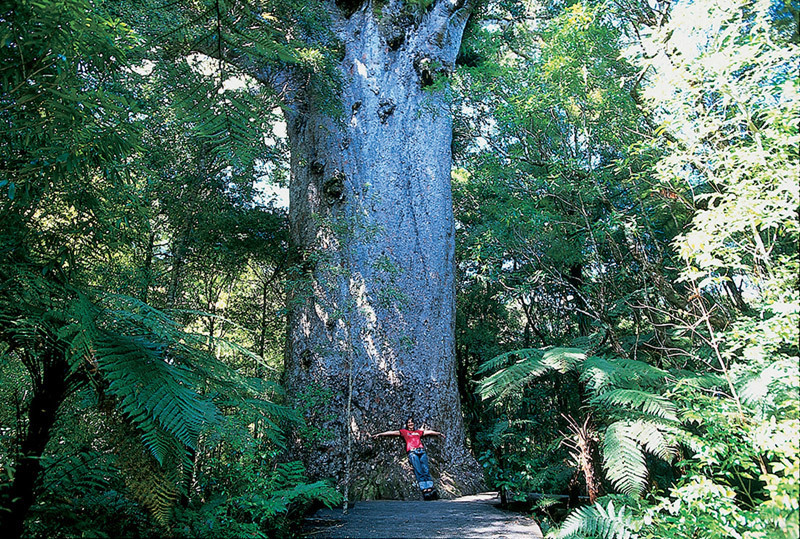 The highlight of the tour will be your meeting with 'The Lord of the Forest' - New Zealand’s oldest and most sacred tree the giant 2,000 year old known as Tāne Mahuta. Your guide will formally greet this silent giant as the darkness closes in on its gnarled ancient limbs, grasping at the stars and the forest. 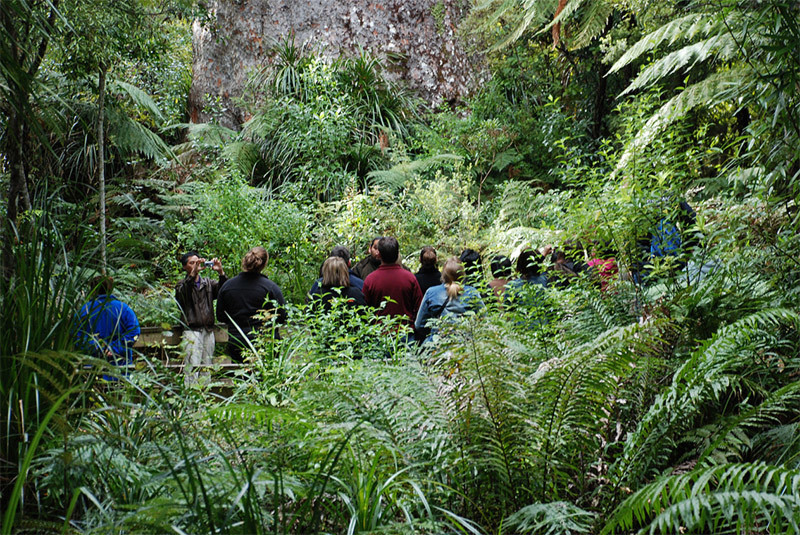 The guides share information, stories and legends about the forest and giant kauri trees. A twilight tour allows you to witness the beauty and transition of the forest at night. Most definitely the highlight of the tour for most, the oldest and largest known kauri tree in the world. July 25 2018 - this story was published today in the UK newspaper The Guardian, a story about disease threatening the great Kauri Tree. New Zealand’s oldest and most sacred tree, Tāne Mahuta (Lord of the Forest), stands 60m from death, as a fungal disease known as kauri dieback spreads unabated across the country. Despite stringent efforts by local iwi (tribes) to combat the spread, there is no cure, and native tree experts are calling for international help to slow the demise of the disease and save Tāne Mahuta. 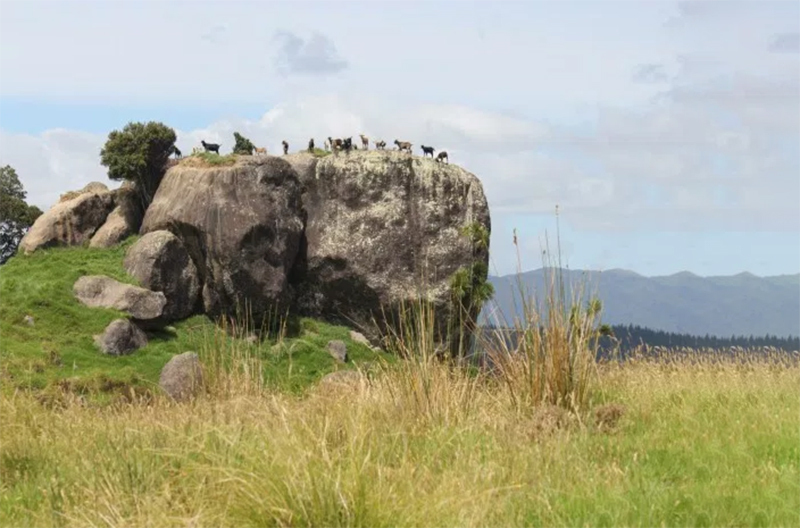 The Wairere boulders consist of hundreds of huge fluted basalt blocks clustered together in a formation that stretches for over a mile into the Hokianga Harbor. The stunning walking tracks reveal an incredible wealth of ferns, palms, native trees and bird life and the story of how this area was discovered is one of inspiration and perseverance. 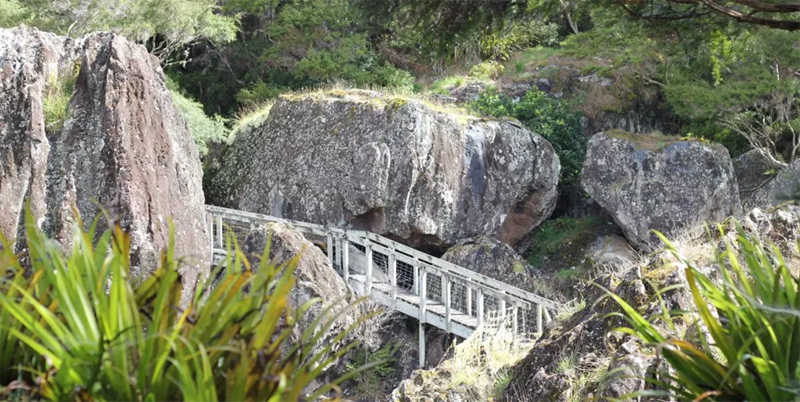 Walking trails allow visitors to get a hands on experience of these amazing rock formations. 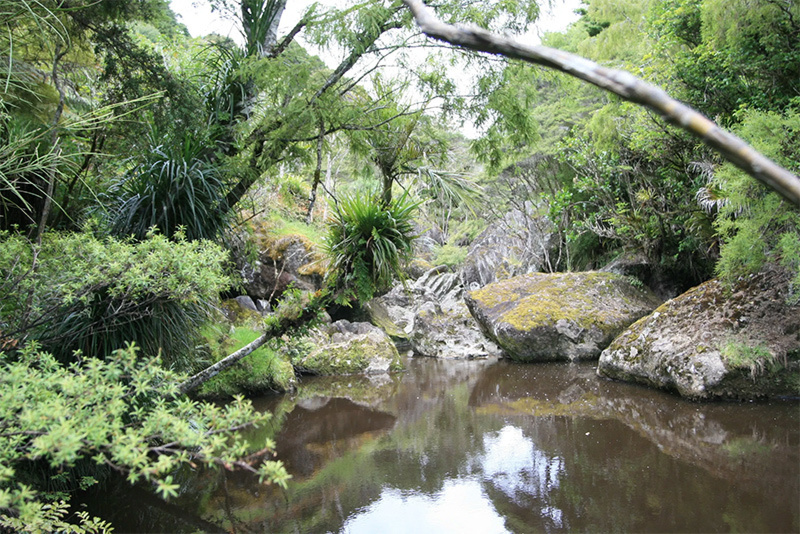 On hot days a swim in the natural bush pool is the perfect ending to a walk through the giant rocks. Farm animals live in the boulder paddocks and can often be seen grazing on the tranquil farm. 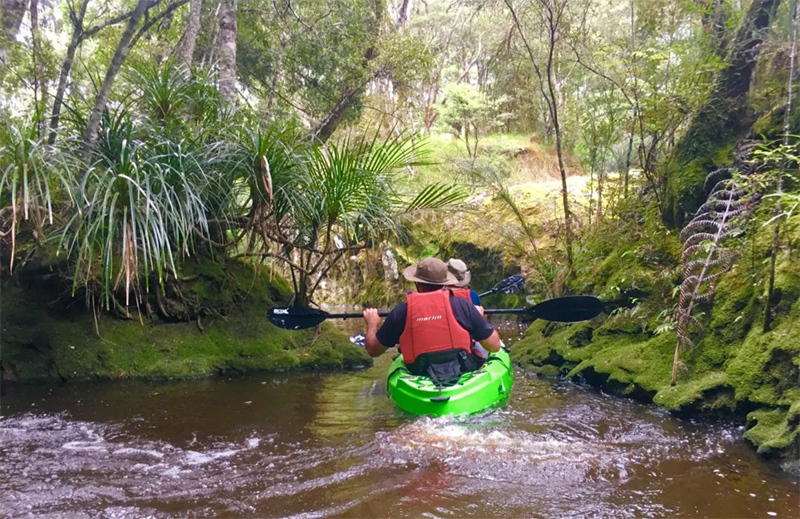 Hiring a kayak to paddle through the valley and into the Hokianga Harbour is an option. This is New Zealand’s most important historic site where in 1840 New Zealand’s founding document was signed, the Treaty of Waitangi. The Treaty Grounds features the Treaty House, the carved Meeting House and the world’s largest ceremonial war canoe. 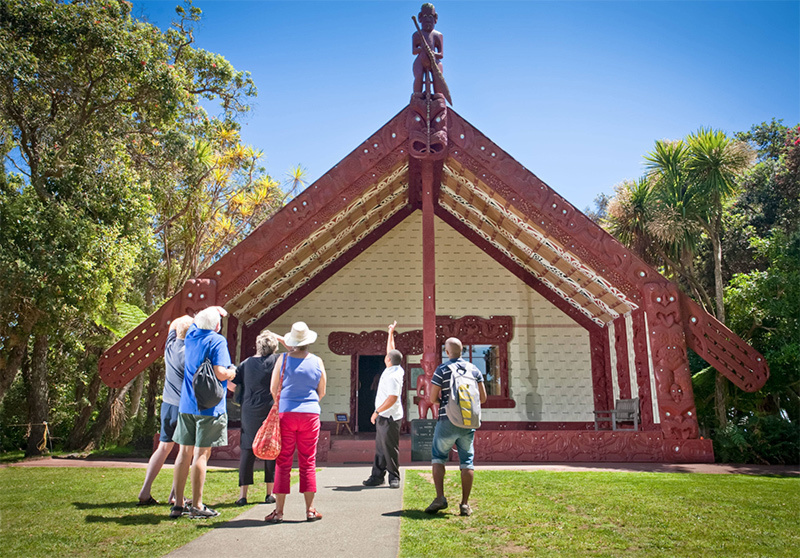 Be sure to visit the exciting new Te Kongahu Museum of Waitangi opened in February 2016 and telling the story of Maori and European contact and the ongoing development of New Zealand as a nation. The beautiful carved entrance to the Waitangi treaty house. Inside the treaty house the intricate carvings and woven panels make it well worth the visit. 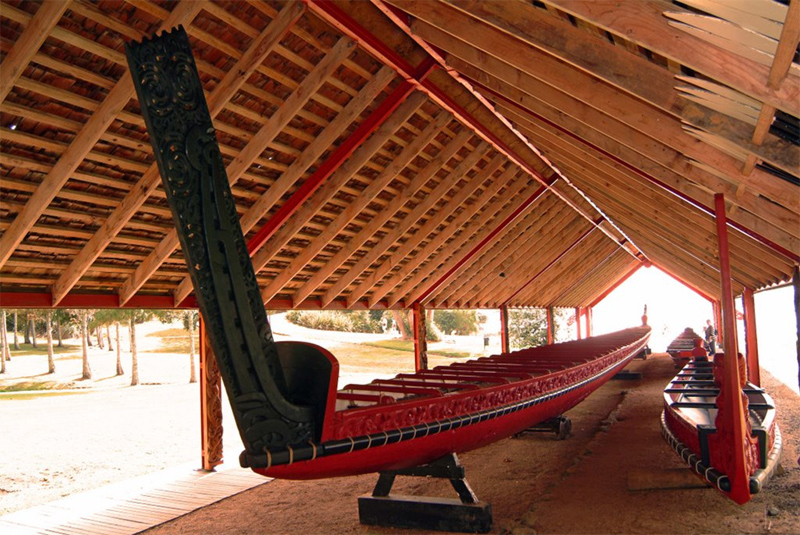 The ceremonial war canoe, waka in Moari, is a stunning 35 meter long functioning piece of art. 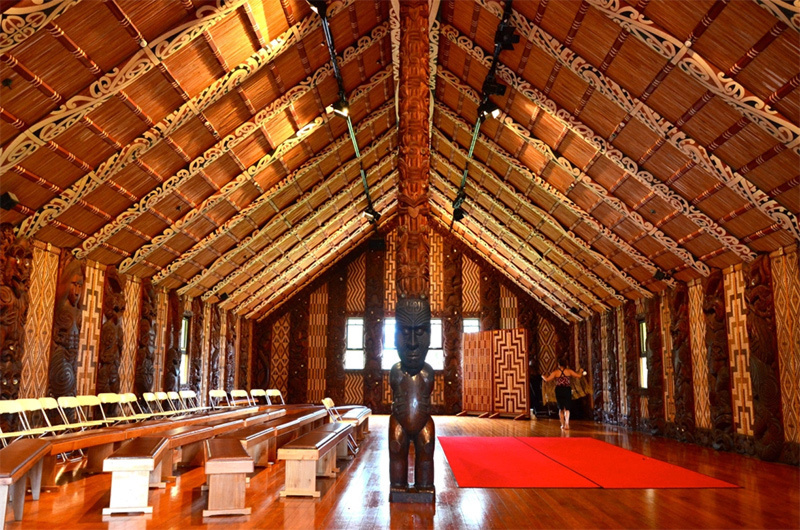 Te Kongahu museum houses the many stories and artefacts behind New Zealand's most important historic sight. 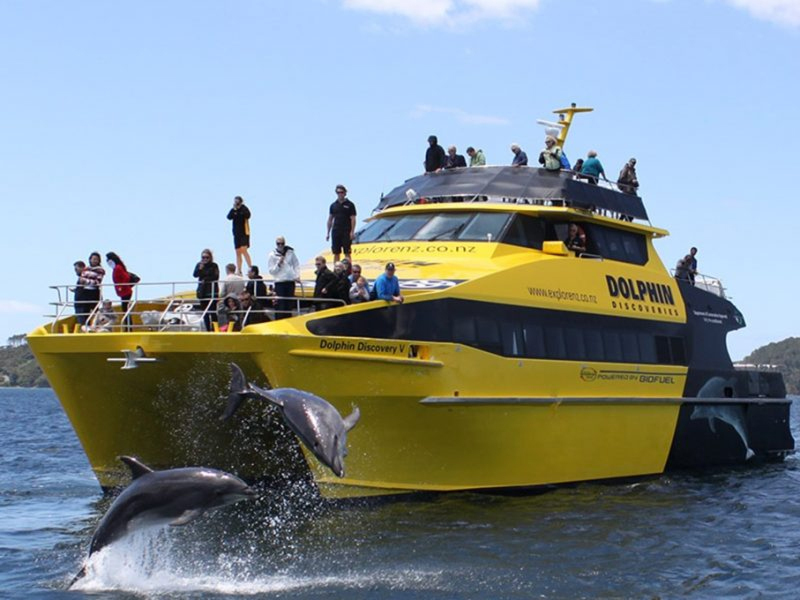 Cruise the Bay of Islands in search of dolphin on board our purpose built catamaran as well as experiencing the breathtaking 'Hole in the Rock'. 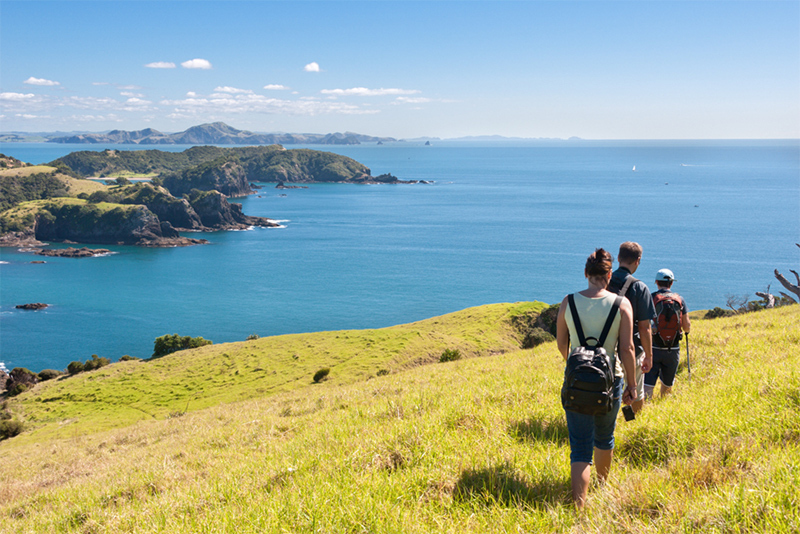 Includes an island stopover on beautiful Urupukapuka Island Reserve. As well as a chance to spot some dolphins, going through the hole in the rock is a highlight of the cruise. The purpose built catamaran allows for some amazing photo opportunities of the friendly, playful dolphins. 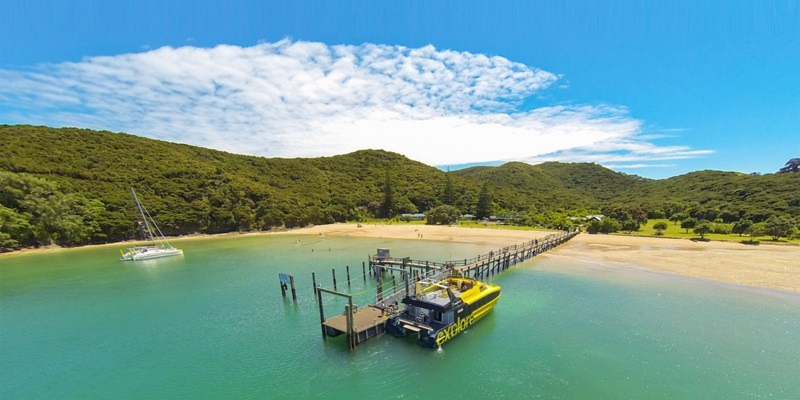 Experience a slice of paradise stopping over at Otehi Bay on Urupukapuka Island reserve. Soaking up the stunning scenery at Otehi Bay with a fantastic view of the surrounding islands. 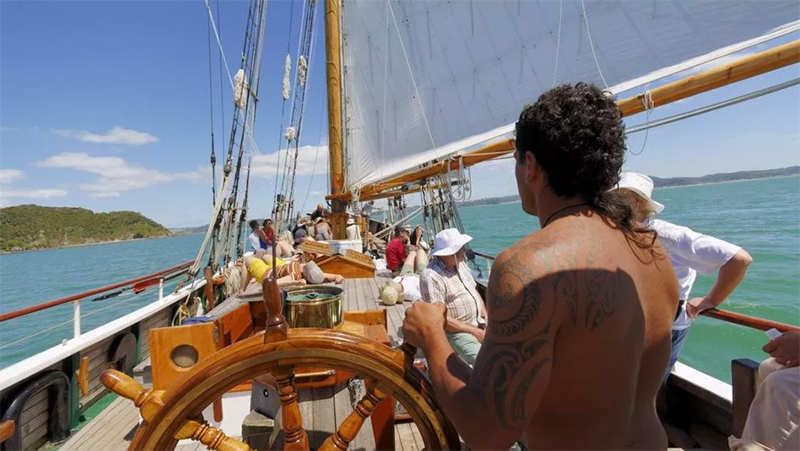 Come sailing in the Bay of Islands for a day on Northland’s iconic tall ship The R.Tucker Thompson! Become part of the crew, help sail the ship or relax & enjoy the day. 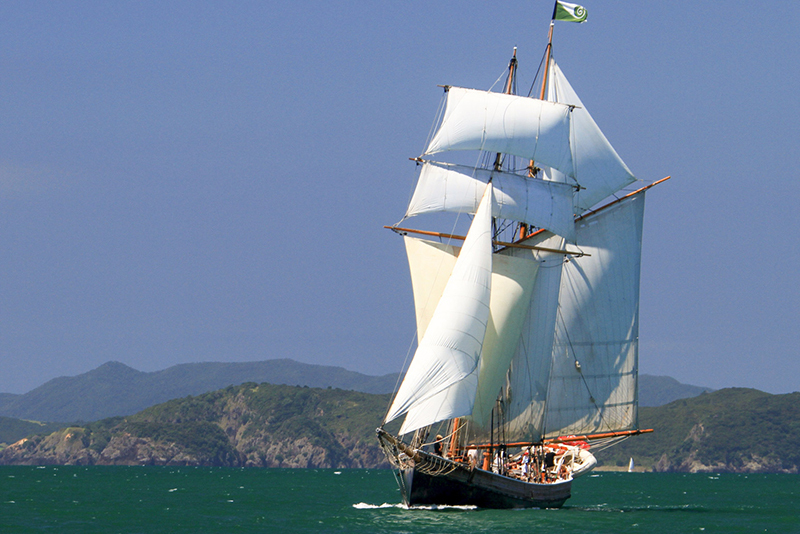 Operated by a charitable trust with profits supporting youth sail training programmes. 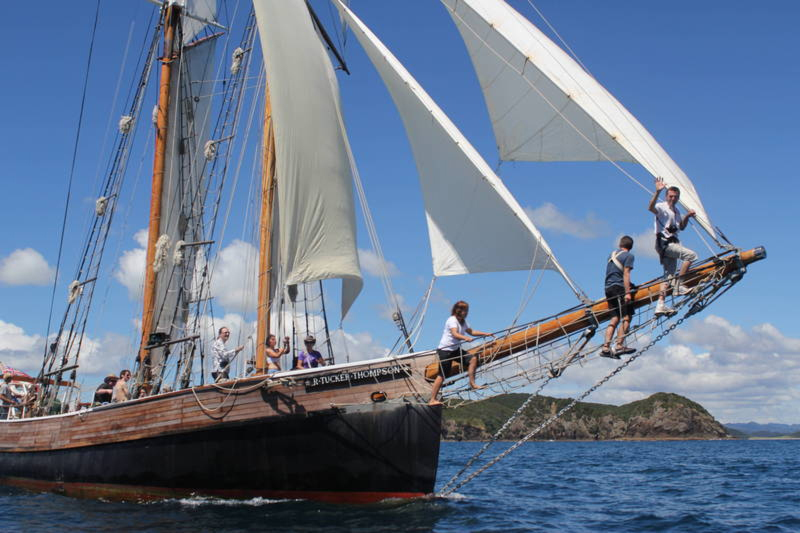 For experienced sailors and novices alike this is an unforgettable way to explore the Bay of Islands. Relaxing on deck whilst socking up the stunning scenery. Become part of the crew for the day on board the iconic ship. 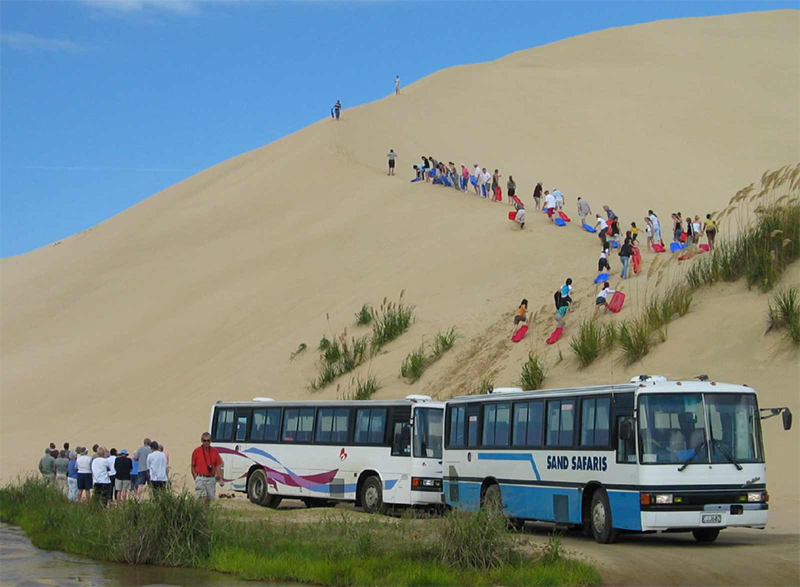 This is an organized coach tour to Cape Reinga at the very top of the North Island where the Pacific Ocean meets the Tasman Sea. Travel via the spectacular 90 Mile Beach and experience the wild beauty of this vast and untouched region, including the thrills of sand-boarding on the massive sand dunes that face the beach. 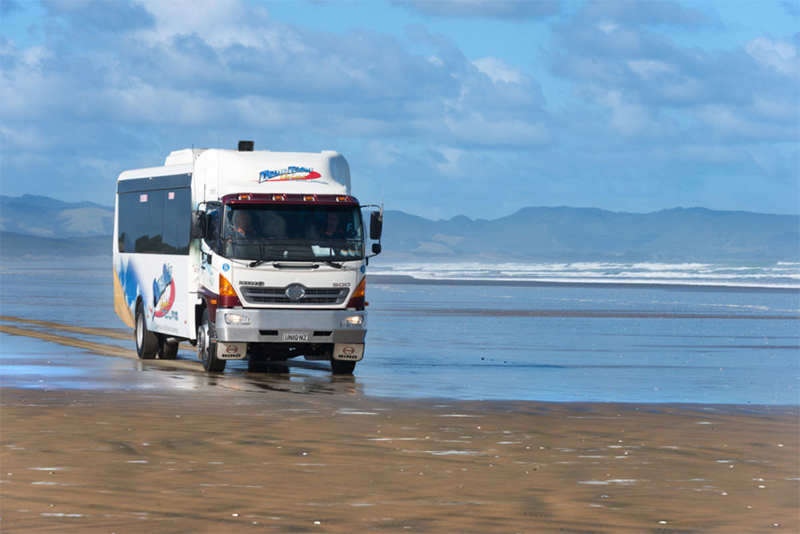 Travelling the beach by coach allows you to experience the true scale of the beautiful 90 mile beach. 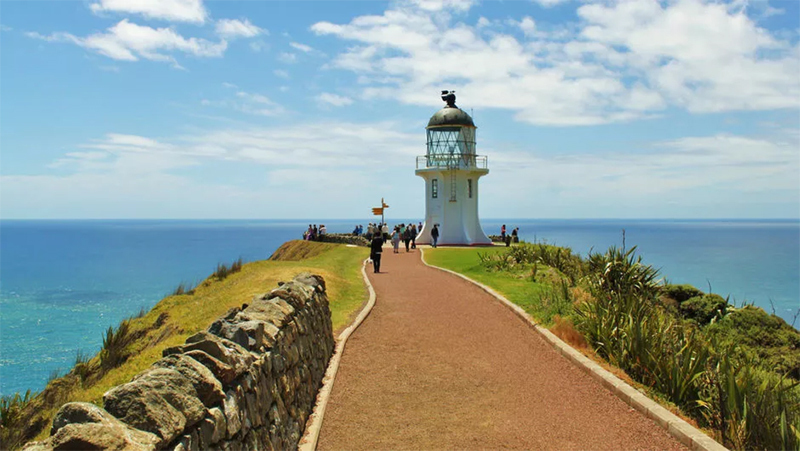 The historical lighthouse at Cape Reinga built in 1941 stands 165 meters above sea level. The spectacular view of Crystal Clear Bay from Cape Reinga's coastal walkway. 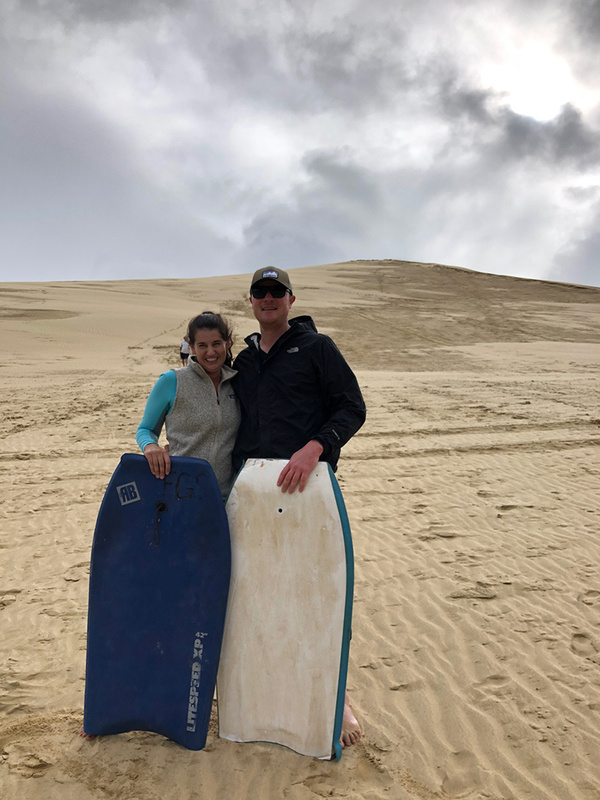 The very popular sand boarding experience is a must for thrill seekers on one of the 90 mile beach's gigantic sand dunes. 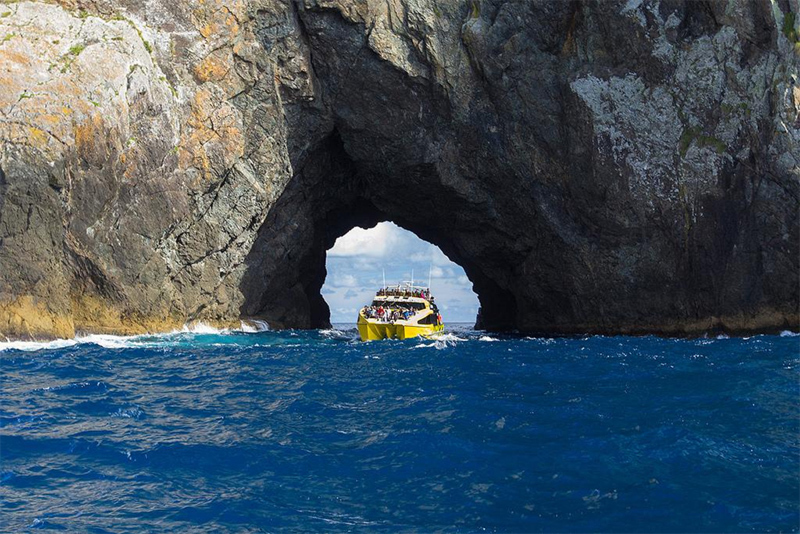 Visit the beautiful Poor Knights Islands Marine Reserve, New Zealand's best dive spot. You can enjoy a day of swimming, snorkeling, diving or kayaking. 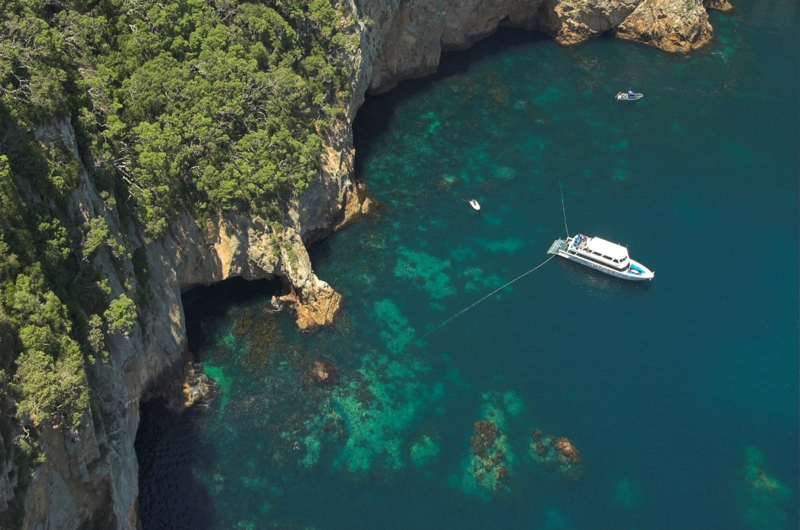 Visit the world's largest sea cave, see prolific marine wildlife, including whales, dolphins and sometimes orca. There's also an opportunity to dive at the spot where two New Zealand warships were sunk to encourage marine life to develop. A fun professional crew, delicious food, a fun day. 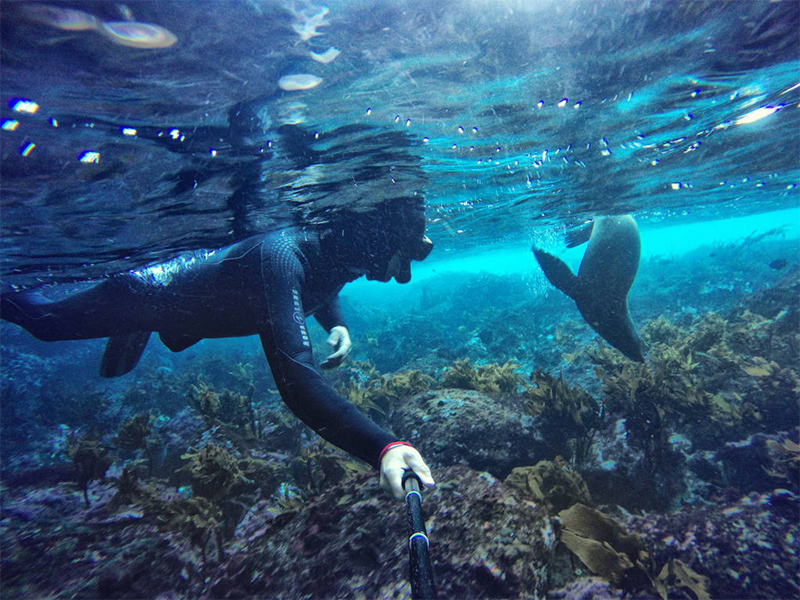 Also visit our blog about the Poor Knights Islands Marine Reserve. cruising above or diving beneath it's coastal waters. 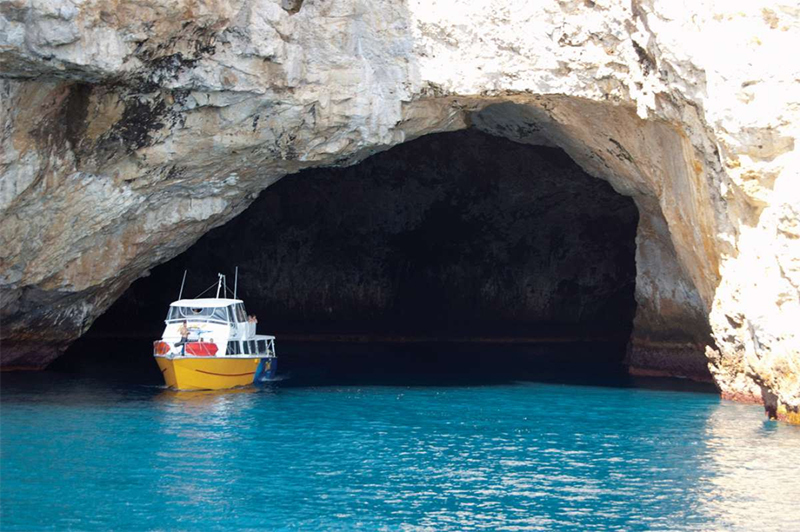 Rikoriko cave, the world's largest sea cave, is a highlight of the trip by boat. 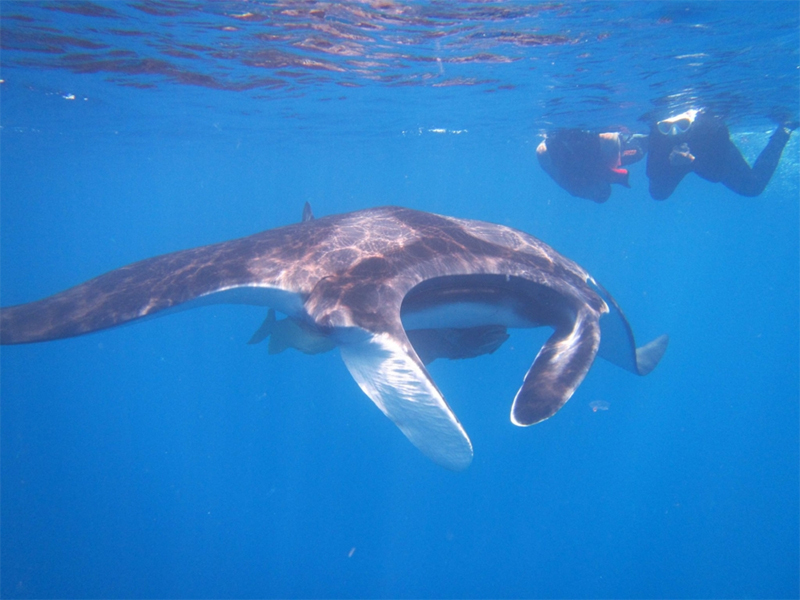 Snorkeling is another fantastic way to catch a glimpse of spectacular marine wildlife like this manta ray.